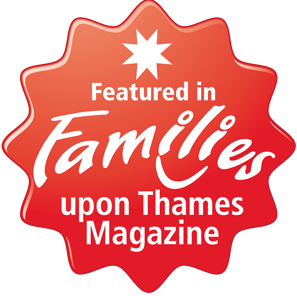 Our very own twin mum Justina Gapper has written an article for Families Upon Thames magazine which appears in the March/April 2014 issue. In case you missed it we’ve reproduced it here. From the moment they are born, twins bring with them a unique set of parenting challenges. As babies, these are mainly practical, as parents juggle feeds, changes and sleeps. As twins grow and develop as individuals, other issues come to the fore. They may start to compete for the attention and affection of their parents. Parents may also find themselves comparing their twins. Whilst these problems can arise with any siblings, they can be more intense and trickier with twins. So how do parents address these issues? Parents of twins quickly realise they cannot give each child the one-to-one attention they would like. Twins often sleep, eat and play at the same time and in the same room. As they get older, they become expert at monitoring whether they are getting the same attention as their twin and are constantly competing and finding ways of muscling in on any one-to-one time parents set aside. This can leave parents feeling that each twin is missing out, or conversely, longing for some time alone with each of them. Competing for one-to-one time may lead to conflict between twins or poor behaviour, as one or both discover they get more attention by “acting out.” One mum I spoke to reported feeling guilty about the lack of time she spends with one twin who will happily entertain himself, whilst she meets the needs of his more demanding sister. The best way to ensure one-to-one time with each individual twin is to get your partner, a friend or a relative to look after the other. However, this isn’t always practical if you are on your own, or if your time together as a family is limited. Get twins to help you with household jobs. Assign each with a different role, for instance, one twin helps you with the recycling, whilst the other folds the sheets. The role is theirs alone and you can make each feel special and important. Fit in one-to-one conversations or short plays at intervals throughout the day. Organise childcare separately, so that whilst one twin is being looked after, you can have the other with you. It is almost impossible to avoid comparing your twins. Twin parents may feel annoyed when relatives, friends and teachers do this, even whilst inadvertently or even unconsciously comparing their achievements, milestones, behaviour and academic merits themselves. Even identical twins may learn to walk, speak, ride a bike and enjoy certain games at different times, and, whilst it is commonly believed that identical twins are more likely to have similar interests and achievements, in a girl/boy paring, girls usually develop at a faster rate. It’s important to realise that whilst one twin may do something more quickly, the other may not actually be behind the norm. Avoid trying to encourage or motivate twins by comparing them. For example “Look at your brother, he can put his shoes on, what about you?” This can lead to resentment, anger and even low self-esteem. Carolyn advises looking only at the progression of each twin as an individual or comparing them with their peer group, but not with each other. “If one is more academic, find something about the other that you can praise, for example, a personality trait” she advises. Encourage each twin to spend time away from the other, doing things they are good at and enjoy. Remind each child of their own achievements and interests. Don’t compare twins in front of them. When twins are sharing the same activity, try to praise each for different things. 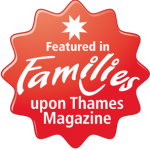 For other helpful tips and advice about parenting, visit www.familiesuponthames.co.uk and go to Articles section.